Companies should move from asking what consumers want, to shaping what consumers want. “Your view of life changes the moment you start looking left and right” says consumer sociologist and rebel marketing speaker Markus Giesler. What he means is that our innovations—products, services, experiences—shouldn’t be created in a vacuum. In his vibrant, eye-opening talks, Giesler asks us to get out of our heads and look around when it comes to understanding consumers. The more we do that, the more relevant and effective our innovations will be. Giesler is one of the most influential consumer sociologists and ethnographers in the world. 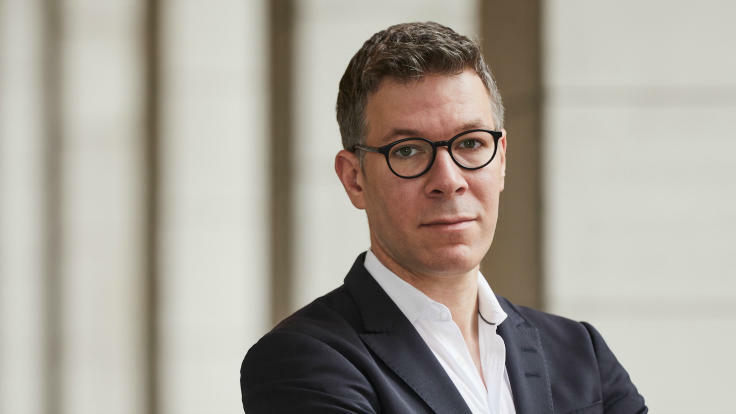 Currently, he teaches the world’s first MBA course on Customer Experience Design and is director of the Big Design Lab, a think tank that examines market-level design questions with public and private organizations. “We can design markets and social systems in a similar way to how we design an object, like a building,” he says. As we might retrofit a building, we can also renovate our markets and social systems. Giesler’s groundbreaking big design approach, showcased in his talks (as well as in a decade’s worth of top tier research and one of the most popular marketing blogs online), is in high demand among business leaders, entrepreneurs, policy makers and anyone interested in learning how to create marketing outcomes that are greater than the sum of their economic parts. Giesler has been named “one of the best recognized experts studying high-technology consumer behavior” (Wired), one of “the young business school star professors on the rise” (Fortune), and one of “the 40 most outstanding business school professors under 40 in the world” (Poets & Quants). His research is frequently cited in The New York Times, BusinessWeek, The Wall Street Journal, The Washington Post, Wired, and others. Most companies think of Artificial Intelligence as technology. But as Markus Giesler explains, it’s much more than smart objects and algorithms: it’s a force that has tremendous influence on our social reality—one that many people are afraid of. AI has fully entered the consumer marketplace and business landscape, and it has a profound influence on shaping who we are, in our everyday reality: influencing how we navigate, choose, discover—but many people have fears. How do we understand these anxieties, and more importantly, what do they mean for business, as more and more of our work and our lives converge with machine learning? In a groundbreaking study, Giesler compared news stories about AI to six decades of science-fiction, to pinpoint precisely people’s fears about robots and machines—and now, he offers tips on how to address them. AI is a human experience, not a technology: drawing from advisory cases with Facebook and IBM, Giesler explores ways that organizations can understand peoples’ aversion to AI—and offers strategies on how to make machine learning more appealing and trustworthy, both within your business and to consumers. Markus Giesler encourages us to approach consumption as a sociological design challenge—a passionate plea rooted in both research and practice. “Culture is probably the most underestimated success factor in business,” he says. Whether you need to sustain an existing market, convince local governments to legalize a new technology such as ride sharing, or establish yet another yogurt brand, “the winner will always be whoever has the best strategy for managing the cultural, moral, and political factors that structure what consumers think they want at a given point in time.” In this talk, Giesler will show you how our choices, preferences and goals as consumers are never natural. Rather, they are embedded in systems of people and things, carefully constructed to support a particular idea or innovation. “It’s the marketer’s job to properly recognize and navigate these systems,” and Giesler will help you do it.